Newcastle Municipality values the importance of its customers/clients and therefore it’s officials always aim to achieve customer satisfaction. Newcastle Municipality values the importance of its customers/clients and therefore it’s officials always aim to achieve customer satisfaction. 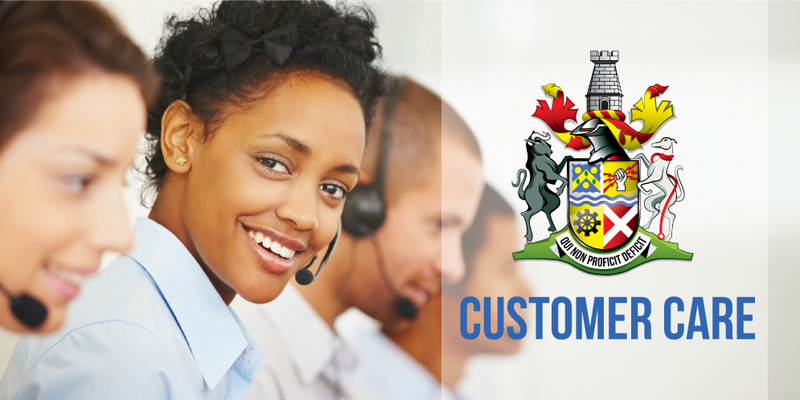 In fulfilling customer satisfaction, Newcastle Municipality always strives to adhere to the Batho Pele Culture based on the following principles, Consultation, Redress, Openness and Transparency, Value for Money, Encouraging innovation and Rewarding Excellence, Leadership and Strategic Direction, Service Delivery Impact and Maintaining the Standard. The Customer Relations Office under the Communications Unit plays a very critical role in changing the attitude patterns of officials, in ensuring that the municipal officials always adhere to the Batho Pele principles when conducting their daily activities, ensuring Customer Care is a tactic to achieve the Newcastle Municipality Vision, that By 2030 Newcastle Local Municipality will be a sustainable economically vibrant city region that affords its citizens a high quality of life. The dream of Newcastle Municipality is to continue creating a Model City, where services are provided to its citizens in just and equitable manner, the provision of services in a sustainable manner. The Municipality wishes to involve it’s citizens to matters of the Municipality by affording them an opportunity to make comments on issues of service delivery. A form is provided below. Fill in our customer care form and we will get back to you as soon as possible.